The realty market is booming in Mumbai. But not in its traditional posh, suburban or newly developing pockets. It is flourishing in the teeming slums that house 60% of the city's population. The informal property industry here is easily worth several hundred crores a year. Some tenements in these areas sell for as much as Rs 15,000 per sq ft while rents for the humble hovels can soar as high as Rs 10,000 a month. It's another matter that the living conditions almost always remain sub-human. Thousands of shanties in prime locations are regularly bought and sold under the radar of government scrutiny. The market boasts its own set of brokers and investors. "Most transactions are done in cash and the only loser is the government, which does not receive stamp duty," says Sharad Mahajan of Mashal, an NGO working in Dharavi. A two-room house at the Matunga labour camp on Dharavi's 60-feet Road, for instance, can cost up to Rs 40 lakh, say local brokers. Ajay Kanchikurve purchased a 200-sq-ft tenement in the neighbourhood a few years ago for Rs 13 lakh and built a floor over it. He claims that today his "well-furnish flat" could fetch him Rs 35-40 lakh. In upmarket localities like Worli, Nepean Sea Road, Cuffe Parade and Colaba, the rate for a shanty can shoot up to over Rs 25 lakh-the offer generally made by builders keen to redevelop the slum enclave. 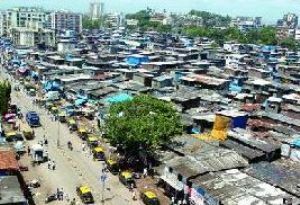 In the Bharat Nagar slum adjoining Bandra-Kurla Complex, some residents received over Rs 1 crore a shanty to shift permanently a few years ago. "One man showed me a cheque of Rs 1.75 crore he had received from a builder," says housing activist Chandrashekhar Prabhu. Calculated per square foot, some of these values could well match the going rates in western suburbs such as Malad, Andheri and Borivli. The numbers, however, do not show the squalor and poor living conditions prevailing in Mumbai's slum clusters. "The poor can no longer afford to live in a slum," says activist and human rights advocate Shakil Ahmad. Antop Hill broker Asghar Ali says that rents in Wadala's slums are around Rs 2,500 to Rs 3,000 a month for a 100-sq-ft home and around Rs 3,500 for a 200-sq-ft tenement. At the other end of the city, PM Shaikh, another realtor, pegs the rentals at Colaba's Azaad Nagar slum between Rs 2,000 and Rs 5,000 a month. Shanties in Dharavi can cost up to Rs 10 lakh. 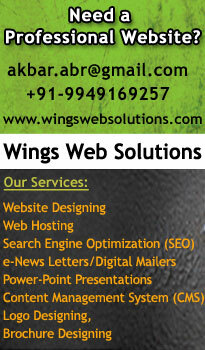 They can also fetch rent as high as Rs 5,000 to Rs 10,000 a month. Lakshmi Kamble, a plastic sorter from Dharavi, received offers of up to Rs 6 lakh for her kuccha 40-sq-ft house, which can hold a single bed and a small kitchen. It works out to Rs 15,000 per sq ft.
"The USP of a property in Dharavi is that it can be used either for residential or commercial gains. The owner can make a good sum if he uses it for commercial purposes. If, instead, he diverts the property for residential purposes, he will charge a high rent to compensate for the loss of income from running a shop or factory," says advocate Vinod Shetty of Acorn Foundation, which works extensively in Dharavi. A developer with deep insight into slum redevelopment projects in central Mumbai says there are two categories of slums-those that are eligible for rehabilitation under the state government's slum rehousing schemes and those declared unauthorized. "The eligible ones command a price of Rs 20 lakh to Rs 30 lakh in Worli, Saat Rasta and Lower Parel. An illegal shanty, on the other hand, can fetch between Rs 5 lakh and Rs 10 lakh," he says. A hovel with a mezzanine floor can be rented out for Rs 10,000 a month. "The value shoots up to Rs 35 lakh when a builder signs an agreement with the slum society. At this stage, 20% of slum residents sell their shanties to the builder and move out," the builder adds. Their preferred destinations are in the far-flung suburbs of Virar, Nalasopara, Diva and Mumbra, where a shanty can be bought for Rs 2-3 lakh. "Since the builder cannot purchase shanties under his name, he gets them registered in the names of his driver, cook, domestic help, etc. The slum resident receives a small portion by cheque and the remaining in cash," the builder says. Jockin Arputham, a Magsasay award winner and president of the National Slum Dwellers Federation, says the slum market is booming. "For instance, Jari Mari slums near the airport that are up for redevelopment command a good premium of up to Rs 12 lakh. It is a big business involving politicians and middle-men," he says. Free houses provided to eligible slum dwellers are another goldmine. Although it is illegal for them to sell these houses for 10 years, as many as 40% of all slum residents who are eligible to receive a 269-sq-ft flat encash them and move out. Most inhabitants of slums, however, prefer to take a shanty on rent. Asma Shaikh is one of them. A domestic help originally from Behrampur, West Bengal, she lives in a cramped one-room house with her family in the congested Vijay Nagar slums at Antop Hill. She and her husband, a manual labourer, manage to eke out Rs 2,000 a month for rent, water and electricity. "We will never be able to afford a house here," she says.